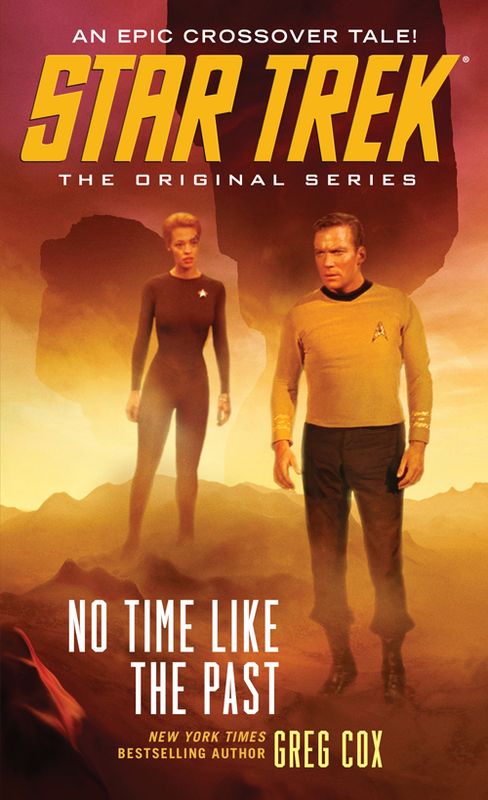 A new Star Trek novel, “No Time Like the Past”, an original series story will hit the book stores on February 25, 2014. STARDATE 53786.1. Seven of Nine is taking part in an archae­ological expedition on an obscure planetoid in the Delta Quadrant when a disastrous turn of events puts Voyager’s away team in jeopardy — and transports Seven across time and space to Yusub, where she comes face-to-face with one of Starfleet’s greatest legends. STARDATE 6122.5. Kirk knows better than most the danger that even a single castaway from the future can pose to the timeline, so he and Seven embark on a hazardous quest to return her to her own era. But there are others who crave the knowledge Seven possesses, and they will stop at noth­ing to obtain it — even if this means seizing control of the Enterprise!